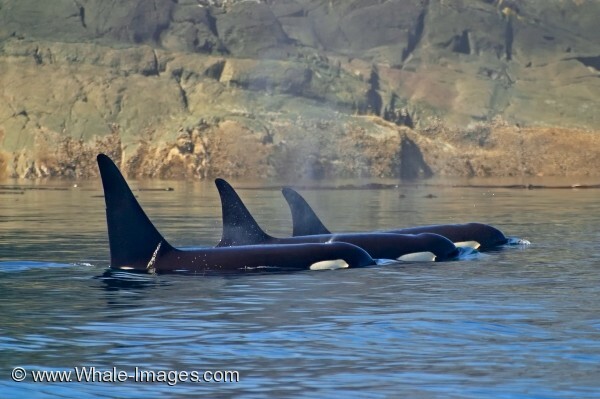 This small group of resting orca whales look peaceful as the quietly swim close to the shoreline. This killer whale picture was taken at the exact moment when all three whales were perfectly spaced out and lined up. The soft hues of the rocks as the backdrop, the vivid blue of the water, and their fine mists are what create the magic in this killer whale picture.